We have done it, yet again! 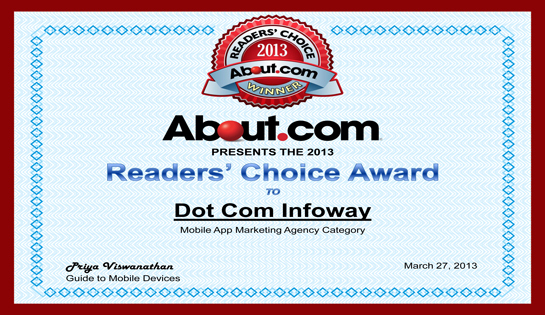 We have been recognized by About.com for our cutting-edge mobile app promotion services with the Readers’ Choice Award for 2013. 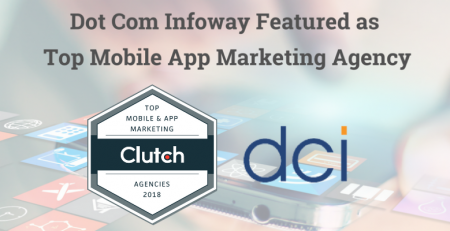 Dot Com Infoway has been voted as the Best Mobile App Marketing Agency, owing to its popularity in the industry and expertise in the mobile application marketing domain. About.com’s Readers’ Choice Awards is a popular reader-driven awards program that highlights the best products, features and services across a wide variety of topics. It showcases the best in hundreds of categories across channels that range from technology to parenting and careers to spirituality. 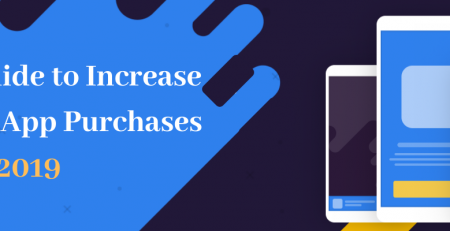 Readers of About.com share their opinions by casting votes during the month-long voting phase. The 2013 Mobile Devices Readers’ Choice Awards recognize and honor excellence in the mobile space, across 11 categories. 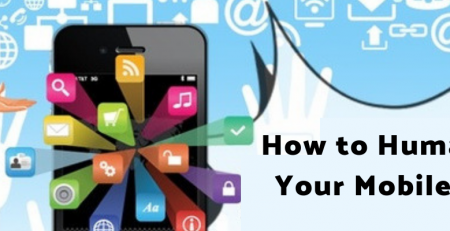 We are proud to win About.com’s highly coveted title of Best Mobile App Marketing Agency. The competition was intense as we were set against some of the biggest international firms in the industry. However, we managed to surpass all our competitors by amassing an incredible 80% of the votes, thanks to the support of our customers. We are grateful to every one who took the time to nominate and vote for us. This award honors the commitment of our mobile marketing team. 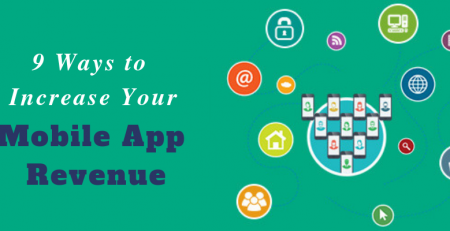 Dot Com Infoway has indeed made great strides in helping its customers take their apps to the right audiences.